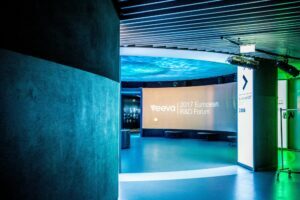 Providing end to end management for the 2nd year, Outsourced Events supported Veeva in running their European R&D Forum in the beautiful Langelinie Pavillonen. Providing an opportunity for clinical, quality and manufacturing, regulatory, and IT professionals in the life sciences industry to hear what’s new in the industry, experience the latest technology trends, and share best practices. OE was appointed to provide event management services for the event which included, venue sourcing, registration services, email communications, delegate management, event logistics including AV and production, sponsorship sales and sponsor management, event consultancy and reporting and financial management. In the search venue that was quirky and different to the usual staid hotel venues, OE, put forward Langelinie Pavillonen. Though, the unique venue wasn’t without its challenges, posing difficulties such as logistics and sound proofing, OE still delivered a memorable and successful event. Keen to improve the delegate experience and allow them, to focus on what really mattered, OE sought to remove the worry of transport, by arranging for a regular water shuttle service to run to and from the venue. With a busy and insightful forum schedule, there was plenty of opportunity to network in both formal and informal settings including a special evening reception dinner. 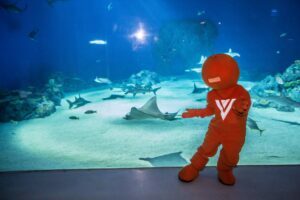 The dinner was organised at Den Blaa Planet, the largest aquarium in northern Europe. The unique experience provided a great opportunity to mingle in a spectacular setting, kicking the evening off with drinks by the sea followed by dinner in the ocean tank among the company of sharks and manta rays and concluding the evening with coffee by the coral reef fish. 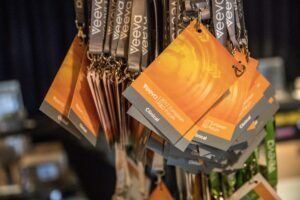 Client and attendee feedback from the event has been extremely positive and Outsourced Events are enjoying their continued relationship with Veeva.